As your development continues to age, so do the building components, including windows. Window replacement; usually considered a homeowner expense (determined by your association documents) when replaced, if not installed correctly can significantly impact the condition of your building without anyone even knowing about it. So you have to ask the question as to what depth your association may want to become involved. Most associations rely on Architectural Control Guidelines and/or Buildings and Grounds committees to establish and maintain aesthetic continuity and ensure compliance within the Association Rules & Regulations. Should the association consider defining the correct window type and the installation means and methods required for your building type? Defining them now, will more than likely eliminate extensive “hidden and latent” building damages in the future. In theory the goal for almost every consumer is to balance product quality vs. product cost, a delicate balance. 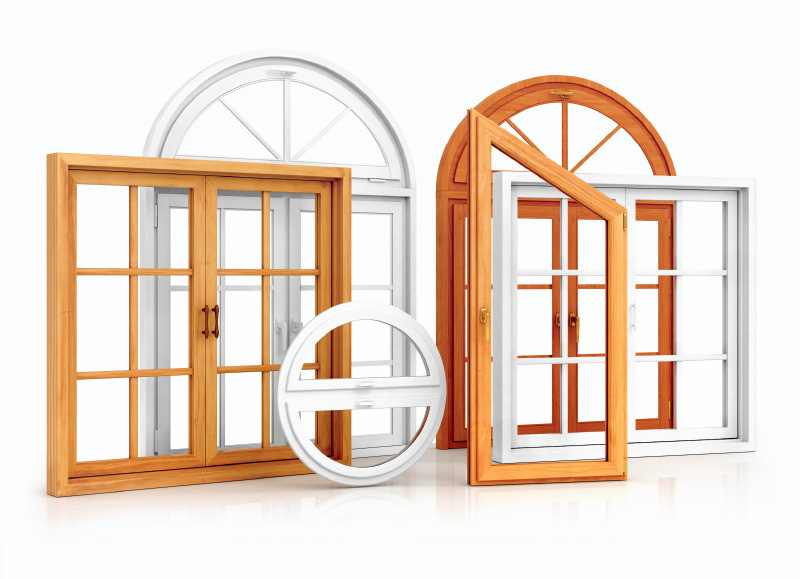 When purchasing windows for replacement an owner has two options; replacement windows or new construction windows. What’s the difference you ask? The most significant difference is the nailing flange that is part of the new construction window. New replacement windows are always less costly than new construction windows, not only because the window is inherently different, but the installation methods are significantly different as well. $99.00 for replacement windows sounds like a bargain, but the short term savings can in the long term, turn out to be a very costly endeavor. “New Construction Window” – are windows that will have a nail flange around the perimeter of the window that works as a flashing strip to the existing building underlayment system. When using a new construction window, it will allow for a proper flashing detail ensuring a water tight finish. “Replacement Window” – are windows that fit into the existing window jambs. This means you leave the existing frame and existing flashing in place and only remove the sashes and the side track, or in some cases the existing window is cut out of the rough opening. As previously stated, the most important difference between the window types is the nailing flange that is part of the new construction window. During original construction, windows are installed in existing framing before any exterior building underlayment and final exterior coverings are installed, i.e. stucco, siding, stone, etc. These new construction windows are installed with a nailing flange that encompasses the perimeter of the existing frame that eliminates any potential areas of water infiltration. New Tyvek house wrap is installed over the nailing flange creating a weather proof barrier and the final exterior building component is installed. In comparison, a replacement window can be installed by cutting away the existing nailing flange from the original new construction window, installing the replacement windows into the existing openings and leaving the existing perimeter flashing details. The new replacement window is installed, a new bead of caulk is installed at the perimeter and everyone is satisfied. The homeowner is happy as they received a cost effective window replacement and the association is happy as a homeowner just improved the value of the property. Let’s now fast forward three years from when Mrs. Smith installed new replacement windows. After several days of wind driven rain, Mrs. Smith calls management to report a leak that she is experiencing beneath her window. Management dispatches maintenance only to find out the leak is a result of caulking failure around the perimeter of the new replacement windows that were installed three years ago. Further invasive inspections reveal extensive wood rot beneath the window and down the exterior wall causing several hundred even thousands of dollars in damage to the building structure. The original flashing detail was compromised, the new caulking had failed and the association is now incurring exceedingly high maintenance repairs. In some cases, depending on how the governing documents are written, the association can assess these repairs to the owner since it was a result of the failure of the window (assuming owner responsibility) that created the damages. The installation methods and requirements for a new construction window are more extensive, more costly but if installed correctly will ensure no extensive building damage in the future. In order to properly install a new construction window, the exterior building component, whether it be window trim, siding, stucco or stone must be removed. The existing window is removed, and in the existing frame an ice and water shield weather barrier product is installed. The new construction window is then installed with the nailing fin creating a water tight seal. New Tyvek house wrap is installed overlapping the nailing fin around the perimeter of the opening. The existing exterior building component is then re installed. 1) Creating a resolution to define the type – “New Construction Windows” the scope of work and the specification means and method for window installation. 3) Consider having a set of approved contractors that the owners can call to install the windows within the association. Before the association implements any resolution of policy, it should first be approved by legal counsel. To the extent possible, parameters and guidelines should be implemented to ensure proper installation and the protection of the building components. Remember, a $99.00 cost for a replacement windows is not always a good idea.